The Oswald of in the public consciousness is an angry loner and defector who was of limited intelligence, a drifter who could not hold a job. Oswald not a perfect human being. None of us are perfect. What follows are aspects of the enigma of Lee Harvey Oswald. -Marguerite Oswald and 13 year old Oswald, moved to New York City from Texas in August 1952. -They lived with Oswald's half brother John Pic, his wife and newborn son. -Oswald was in NYC from 1952-1953. -He was examined by CIA related doctors: Dr. Renatus Hartogs, Dr. Milton Kurian, and Dr. Irving Sokolow. and extended discussion of Oswald in NYC. The 15 year old Lee Harvey Oswald under the tutelage of David Ferrie is a part of the Civil Air Patrol in New Orleans.It is now know the CIA began a Russian embed recruitment program through the Civil Air Patrol. Following his older brother, Robert, Oswald enlists in the United States Marine Corps. Author of the rare book "Harvey & Lee" reads from his book, discusses his years of research, and answers questions from Len Osanic. Lee Harvey Oswald is given a "Confidential" security clearance. In the 1970's CIA finance officer James B Wilcott testified before the HSCA. He said that in 1959 he worked out of the covert station in Japan and dispensed unvouchered funds for the "Oswald Project." The Oswald project, years in the making, was probably organized and handled by James Angleton of the Counter Intelligence/Special Investigations Group at CIA headquarters. But in order to place 2 Oswald's in the Marine Corps using the same serial number, often at the same time in different locations, it appears that certain members of the Office of Naval Intelligence were also involved. James Wilcott said Oswald's defection to the Soviet Union was phony and that Oswald was on an intelligence operation for the CIA. Wilcott said the cryptonym for the Oswald project was RX-XIM. California’s Monterey School, where Richard Nagell had received his own extensive language training, was still quite active when Oswald was stationed in California in 1959... Lee Harvey Oswald more than likely went to this school. At the time, in 1959, the United States was having real difficulty in acquiring information out of the Soviet Union; the technical systems had, of course, not developed to the point that they are at today, and we were resorting to all sorts of activities. One of these activities was an ONI (Office of Naval Intelligence) program which involved three dozen, maybe forty, young men who were made to appear disenchanted, poor, American youths who had become turned off and wanted to see what communism was all about. Some of these people lasted only a few weeks. They were sent into the Soviet Union, or into eastern Europe, with the specific intention the Soviets would pick them up and 'double' them if they suspected them of being US agents, or recruit them as KGB agents. They were trained at various naval installations both here and abroad, but the operation was being run out of Nag's Head, North Carolina. From Spartacus: Victor Marchetti, a CIA agent interviewed by Anthony Summers. Lee Harvey Oswald is released from active duty in the Marine Corps under the auspices of a " hardship" condition . A box of candy fell on his mother's nose. Oswald stays 72 hours in Dallas and then head for New Orleans. A freighter brings him across the Atlantic. Supposedly he is going to a CIA related Albert Schweitzer College in Switzerland. Lee Harvey Oswald, after staying at the two best hotels in Helsinki, enters Russia and travels to Moscow via train. The CIA had pampered a Helsinki official. Lee Harvey Oswald and Robert Webster-the false defector program to the Soviet Union. Marina Prusakova befriends both men. Lee Harvey Oswald is told he is being sent to Minsk, where he observes and writes. His job is working an an electronics factory.. The U-2 spy plane is shot down over Russia and a high level Eisenhower-Khrushchev summit is canceled by the Russians. Lee Harvey Oswald lived in the Soviet Union at this time. Lee Harvey Oswald and his new wife, Marina Nikolayevna Prusakova get the necessary papers to return to the United States. On June 14, 1962 Marina and Lee arrive in Fort Worth. Not bad treatment for a defector. Moore was a former FBI agent and college roomate of FBI agent Wallace Heitman. According to Moore's CIA personnel file he was assigned to the CIA's Domestic Contacts Division in 1948 and was in Dallas in 1963 at the same position. Moore's boss at CIA headquarters was Tracy Barnes of the Domestic Operations Division. One of his duties in the Dallas office was to contact individuals who had information of foreign topics of interest. In a memorandum dated May 1, 1964 Moore stated that he had known George De Mohrenschildt and his wife since 1957. 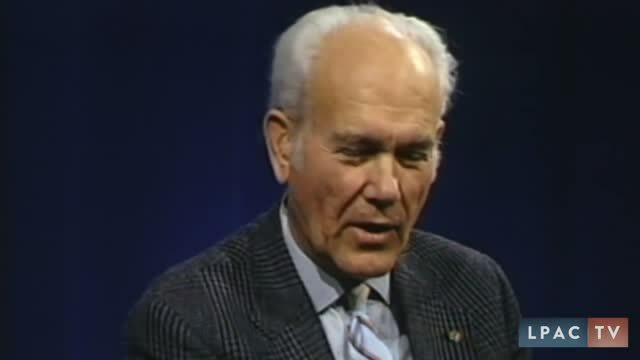 In an interview with the HSCA on March 14, 1978 Moore said that he had interviewed De Mohrenschildt in 1957 after the Yugoslavia trip. Moore also said he had "periodic" contact with De Mohrenschildt and saw him several times in 1958 and 1959. De Mohrenschildt's CIA file contained several reports submitted by him on topics concerning Yugoslavia. In short, De Mohrenschildt worked for the CIA and J. Walton Moore was his superior. In 1961 George de Mohrenschildt was invited to lunch by J. Walton Moore. According to Edward Jay Epstein, during the meeting Moore told de Mohrenschildt about Lee Harvey Oswald living in Minsk.. .Over the next few months George de Mohrenschildt took Oswald to anti-Castro meetings in Dallas. De Mohrenschildt later told Edward Jay Epstein that he was asked by J. Walton Moore to find out about Oswald's time in the Soviet Union. In return he was given help with an oil deal he was negotiating with Papa Doc Duvalier, the Haitian dictator. In March 1963, De Mohrenschildt got the contract from the Haitian government. He had assumed that this was because of the help he had given to the CIA.In February, 1963 George de Mohrenschildt introduced Marina Oswald and Lee Harvey Oswald to Ruth Paine. On 24th April, 1963, Marina and her daughter went to live with Paine. Oswald rented a room in Dallas but stored some of his possessions in Ruth Paine’s garage. Ruth also helped Oswald to get a job at the Texas School Book Depository. Author Joan Mellen investigates Lee Oswald in New Orleans 1963. Oswald's public persona is that of a professed Marxist and Cuban sympathizer, while he associates almost solely with persons who are of the political right and linked to US intelligence. OCTOBER 1962-APRIL 1963:Lee Harvey Oswald employed in top secret company. - a contract with the Army Map Service to set the typescript for its maps. - maps from secret aerial photographs presumably taken from spy satellites, U2 planes etc. Lee Harvey Oswald employment at Reily Coffee Company. William Reilly, owner of the Reilly Coffee Company was CIA connected. In August of 1963, Judyth Vary Baker and Lee Harvey Oswald, 23, both started working for the firm on same day, May 10, 1963. Oswald routinely met with FBI agents and received large white envelopes. "Before he left the William Reily Coffee Company, Oswald visited garage owner Adrian Alba to say goodbye. According to the record, he had been fired for malingering. Yet Oswald seemed pleased, telling Alba he expected to work next at the New Orleans plant of NASA -- the National Aeronautics and Space Administration. He never did work there, although four of his colleagues at Reily did move to NASA within weeks of Oswald's departure. At all events Oswald departed, telling Alba, 'I have found my pot of gold at the end of the rainbow'"
(Anthony Summers, Conspiracy, 1989, Paragon House, 284). Oswald was involved with many people in New Orleans in the summer of 1963. This is Lemon. There is a connection between Lee Oswald and David Ferrie. He may be even associated with Guy Banister and organized crime. We saw Ferrie and Oswald talking with students in the Napoleon House Bar- 500 Chartres Street. We met with Eladio del Valle whom we saw speaking with Ferrie earlier. Also, a man about six feet tall was watching Ferrie and del Valle. He took off through Jackson Square, and del Valle followed him. Del Valle said the man was an intelligence operative. Oswald visited Carlos Bringuier at the Bringuier Clothing Store and wanted to fight Castro. The next day, Oswald again visited the store and left his Guidebook for Marines. Oswald distributed pro-Castro Fair Play for Cuba leaflets at the intersection of Canal Street and St. Charles. Bringuier said that Oswald had tried to join his anti-Castro movement and that Oswald was really a communist. A fight broke out. Oswald and the three Cubans were arrested for disturbing the peace. [ Before leaving the police station, Oswald asked to speak with an FBI agent. Agent John Quigley arrived and spent over an hour talking to Oswald. Not one photograph of Lee Harvey Oswald in Mexico City exists. Oswald never went to Mexico City but was impersonated by a blonde haired man, according to Cuban Consulate personnel. Additionally, someone said they were Lee Harvey Oswald in numerous Mexico City phone calls to the Cuban and Russian Consulates. Then CIA employees distorted and fabricated transcripts to frame Oswald. Was Oswald really in Mexico City doing what the CIA said he did? Lee Harvey Oswald and a Cuban exile attempts to buy rifles from know gun runner and personal friend of Fidel Castro Robert McKeown. Had Mckeown sold the rifles to Oswald, a rifle would have been planted in Dallas, thus linking Oswald to the purchase from a close friend of Castro. Ruth Paine gets Lee Harvey Oswald a job along the Kennedy motorcade route at the Texas School Book Depository. What did Mrs. Paine say, and what did you say? And I told Mrs.---she said, "I have a fine young man living here with his wife and baby, and his wife is expecting a baby--another baby, in a few days, and he needs work desperately." Now, this is not absolutely--this is as near as I can remember the conversation over the telephone. And I told Mrs. Paine that--to send him down, and I would talk to him--that I didn't have anything in mind for him of a permanent nature, but if he was suited, we could possibly use him for a brief time. Mr. BELIN. Was there anything else from that conversation that you remember at all, or not? Mr. TRULY. No. I believe that was the first and the last time that I talked to Mrs. Paine. In fact, I could not remember her name afterwards until I saw her name in print, and then it popped into my mind that this was the lady who called me. Jim DiEugenio discusses the background and lesser-known activities of Ruth and Michael Paine, the couple who became fast friends with the Oswalds in the year 1963. NOVEMBER 22, 1963: Lee Harvey Oswald in second floor lunch room. Mrs.R.E.ARNOLD, Secretary, Texas School Book Depository, advised she was in her office on the second floor of the building on November 22, 1963, and left that office between 12:00 and 12:15 PM, to go downstairs and stand in front of the building to view the Presidential Motorcade. As she was standing in front of the building, she stated she thought she caught a fleeting glimpse of LEE HARVEY OSWALD standing in the hallway between the front door and the double doors leading to the warehouse, located on the first floor. She could not be sure that this was OSWALD, but said she felt it was and believed the time to be a few minutes before 12:15 PM. Military analyst Colonel L. Fletcher Prouty, like almost everyone else alive at the time, remembers exactly where he was when he first heard news of President Kennedy's assassination. President Kennedy and Texas Governor John Connolly are shot in a an open car in Dealey Plaza, Dallas Texas. A prearranged scenario for the patsy, delivered to the press before the police. Oswald Arrested at the Texas theater. He has a wallet with two ID's. It is one of three wallets found to incriminate him for murder. Witnesses see an identical Oswald loaded in a cruiser behind the theater. Oswald had moved around inside the theater, sitting next to various patrons as he searched for someone. But the Dallas Police have inside information on his background from Army intelligence. The bring him into custody and he will never be free again. Lee Harvey Oswald attempted to call Naval Intelligence in Nag's Head North Carolina. But they never let the call go through. Oswald also had access to government switchboards, routed to military and intelligence destinations. JFK - The Dallas Tapes - Original Oswald Footage.Oswald is furious they have charged him with the President's death. Host Len Osanic reviews the case against Lee Oswald as it developed over the weekend of the assassination. Despite the circumstantial nature of the evidence, the Dallas Police never wavered from their insistence that Oswald was the assassin and that he acted alone. Jack Ruby murders Lee Harvey Oswald. Author Joseph McBride discusses the role played by the American mainstream media in propping up the official conclusions and denigrating the critics. Did these vaunted organizations simply blow the story, or have they served as witting collaborators and accessories in the cover-up? Turning over governments by force and propaganda was what elements of the CIA did from its inception(Greece, Iran, Guatemala, the Congo, Chile to name a few). They were the best in the world at what they did and they proved it on November 22, 1963. There really is not an Oswald enigma but only facts not yet released.